Putting together your own DIY sugar scrub has never been easier. You should have all of these ingredients waiting around your house to be used, and if you don’t, you may as well pick the ingredients up from the store and bake some cookies at the same time. 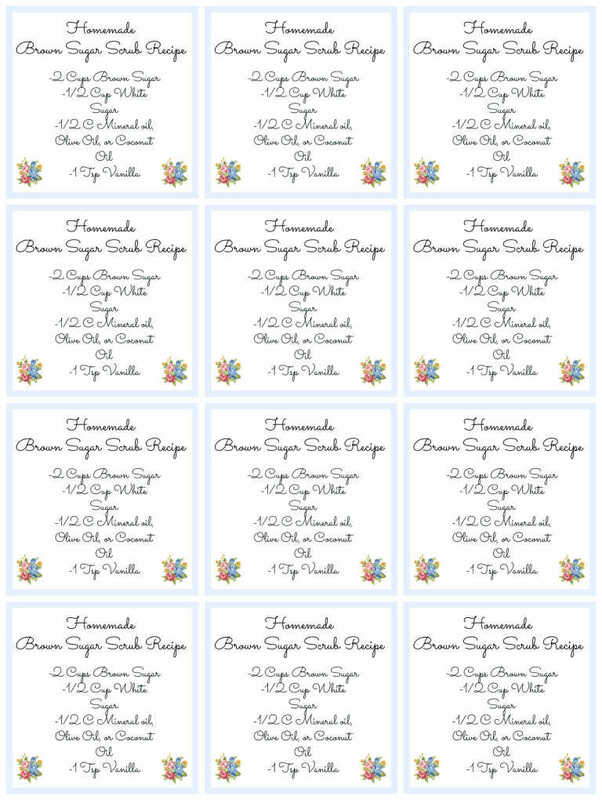 I am hosting a “Spa Night” for a group of young women in my neighborhood for an event that we are having tonight and thought I may as well make a little printable for them so that they can recreate the scrub at home. 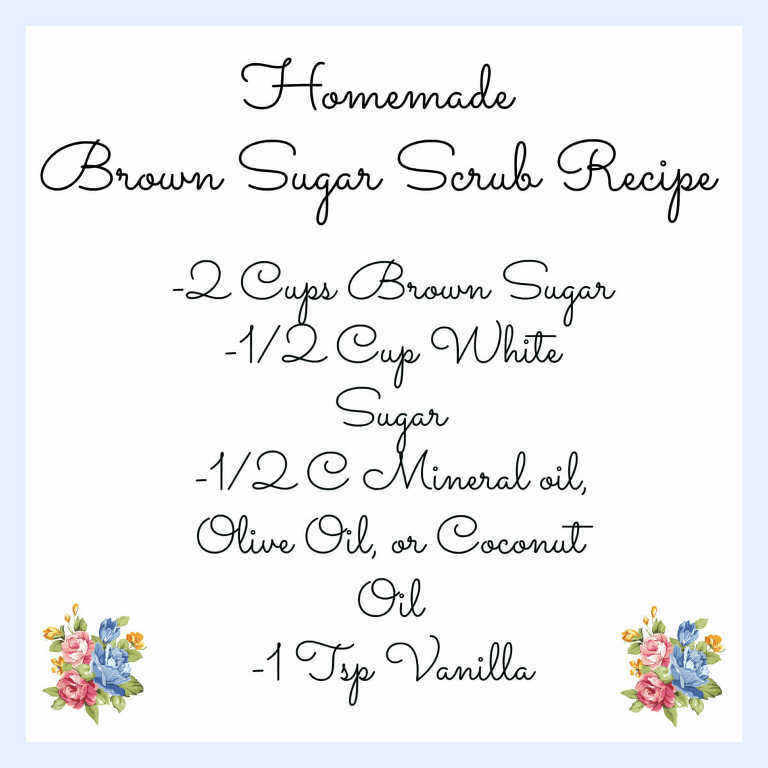 This DIY sugar scrub can be used on your body, it is coarse, so I wouldn’t suggest using it more than once a week. For the activity we are mixing up a big batch of this DIY sugar scrub for the girls to spoon into their very own mason jars and then we will be attaching the ingredient list to the jar. You can click here for the large size printable, or click here for the page with multiple. We will be talking about healthy beauty routines of washing your face morning and night, demo-ing a do at home facial, and then adding this DIY scrub for them to take home. I am sharing with you the large full page size and the option to print 12 onto one page if you’re wanting to do small jars like we are. Click here to print the small handout version. Check out our 2 ingredient all natural facial peel mask or read this one on helping your skin stay young!